You know what I love about the room pictured below? Is it the gorgeous mixed media painting on canvas by Florida based artist Laura Lacambra Shubert? Yes, absolutely. Do antiqued mirror finishes make me swoon? Yes, they most certainly do. Could it be the perfect pairing of traditional furnishings with a stunning contemporary art piece? You know it! But what do I love most? This image is a great reminder to think about artwork for even the most unsuspecting spaces in your home. The spaces that others may not see, but where you still spend significant time. 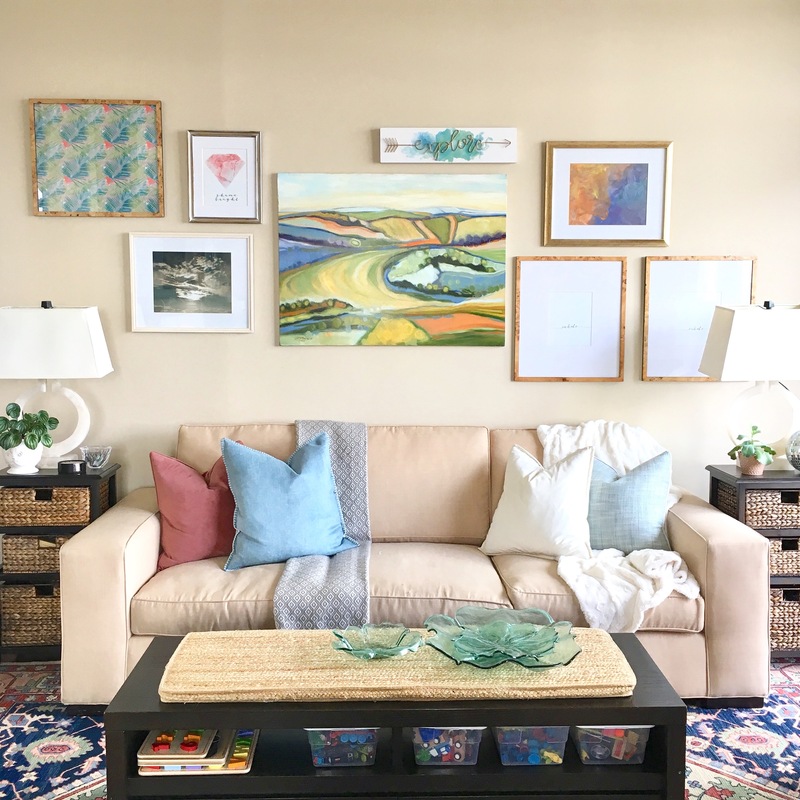 When looking for artwork, we usually think about the entertaining areas first: family room, dining room, and living room. Foyers and entry hallways usually get a lot of love too. Many times, however, there are smaller spaces in our homes that call out for a bit of visual interest. In this particular instance, the client needed a piece for a dressing area located outside of her closet. Shubert’s image of a woman being fitted by a tailor is a fun reflection of this space’s purpose. Simple, yet elegant, the painting also compliments the decor of this personal space. The perfect piece to glimpse and enjoy as you are getting ready to start your day.